Deal: Like-new Bose SoundTouch 10 wireless speaker with 1-year warranty on sale for $120, save 25%! If you're looking to get a top-quality wireless speaker at a great price, you have to check out this latest eBay deal. 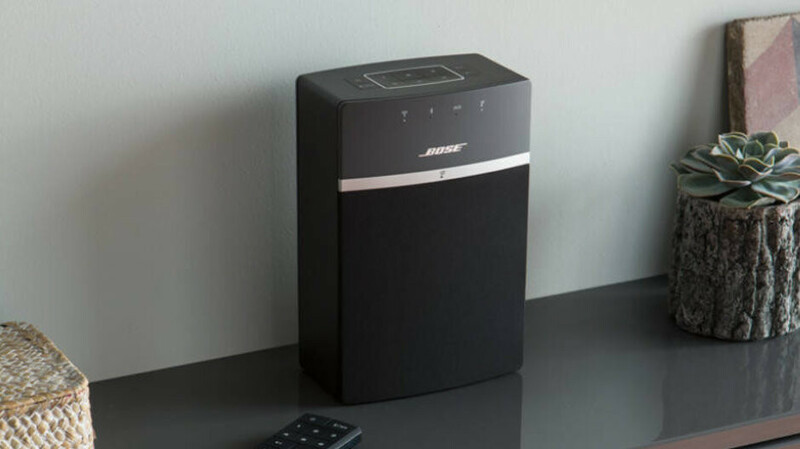 Bose's official store is selling the Bose SoundTouch 10 Bluetooth speaker for $120! Granted, the units sold are refurbished, but they are factory-renewed by the manufacturer and come with a 1-year warranty from Bose, which is equivalent to the standard coverage when you purchase a new product. For comparison, buying a new SoundTouch 10 will set you back $200, while the cheapest refurbished listing we were able to locate quotes $160. This is Bose's smallest one-piece wireless speaker, but it features a more than respectable output of 30W. It works with Wi-Fi and Bluetooth devices and can stream music from Amazon Music, Spotify, Pandora, your own music library, and so on. The SoundTouch 10 comes with a remote, but you can also control it through the dedicated phone app or by pressing one of the 6 customizable preset buttons on the speaker itself. Last but not least, the speaker also works with any Alexa-powered smart speaker, so it can be a great addition to your smart home. If this deal interests you, feel free to follow the above link to eBay. More than 6,000 (80%) of the available units have been sold, so it might be a good idea to act fast if you want one.